You are not just customers, but also friends who realize how we love what we do. Our Team is made by very talented and motivated people and they all share one thing: The Love for what we do! Located just an hour from Thessaloniki Airport, on a short distance from the magnificent beaches in the heart of the most popular villages of Halkidiki. In organized communities, with rich market that has everything you can imagine and a huge variety of entertainment, typical of the cheerful Greek temperament, that takes the summers off. 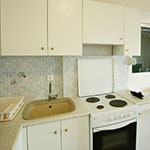 All apartments except the spacious bedroom and bathroom also provide a fully equipped kitchen with all necessary appliances and utensils for cooking, and serving food. So you can plan your meal the times you wish with the materials you choose, just like at home, achieving economy and autonomy. 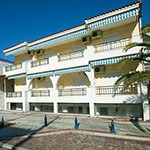 The VILAR APARTMENTS are the most economic option for holidays, especially for families with several members and small children. They are also a convenient option for older people who seek peacefulness, relaxation and conservative diet. Our prices will amaze you. © 2019 Vilar Studios & Appartment. All Rights Reserved. People all over the world have chosen Vilar Hotels & Appartments as for their vacation. We are proud to have customers of different countries and cultures as a sign of recognition of our services. They are not only customers, but also friends who realize how we love what we do.